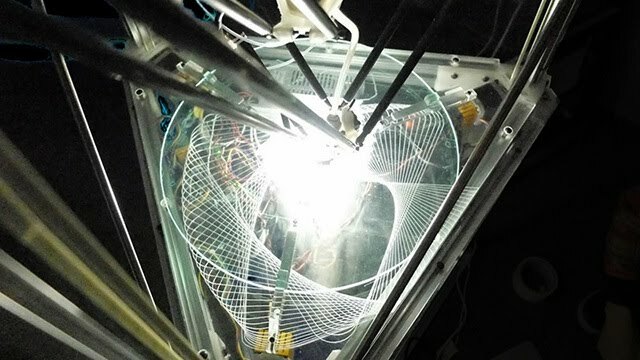 Anyone who has encountered a Fused Filament Fabrication (FFF) 3D printer for the first time must have watched the machine for a while to see how the 3D printer builds an object out of molten layers of plastic. However, in most cases, the printing process requires too much time to sit in front of the machine and observe the gradual deposition of layers. 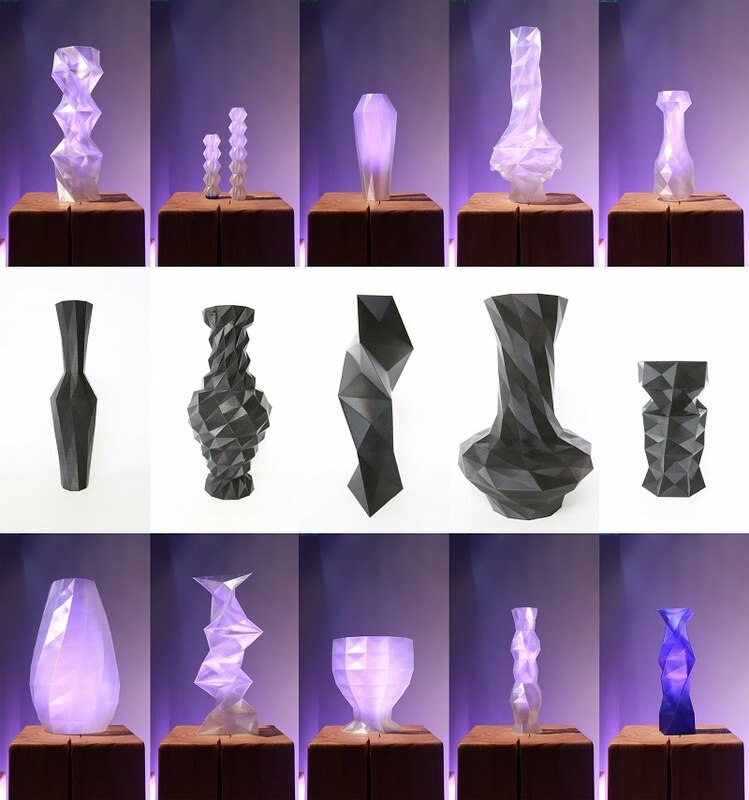 Crystallographie was an art installation project for which the main goal was to exhibit the on-site 3D printing of crystal-lattice-inspired artifacts. The project was a collaboration with a designer and an architect where my role was to reinterpret a delta-type 3D printer as an exhibitable object. The project focused on increasing the audience’s experience of the 3D-printing process by implementing multiple types of interactivity. The core concept that I provided was the construction of polyhedral shapes in response to parameter input from an audience to generate 3D models. The generated model is then sent to a 3D printer so that the audience can watch their design being materialized on site. The layer height and shell thickness were set to 0.6mm and 0.4mm to reduce the building time. As the object grows, the light from an LED bulb beneath the build plate passes through the object and thus changes the color of the space where the machine is installed. The project was conducted in collaboration with Hyun Park (product designer) and Kate Cho (architect). My role was to develop the overall concept of the installation and to design and produce the mechanical parts and structure for the 3D printer. (left) Newly developed double platform minimizes filament friction in the tube due to large size of the machine. (right) 3D printed joints combined with steel rod add structural integrity. Crystallographie exhibition at Platoon Kunsthalle. Ambient light changes as the object grows.